How can I help you to get exposure and support for your airline CRO program? 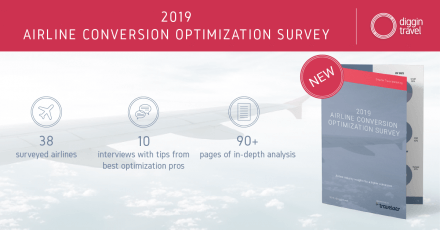 This is the question that was on my mind when I analyzed responses from 38 airline conversion optimization professionals in our 2019 airline CRO survey (you can download the full whitepaper here). Sound familiar to you? It probably does, because these are real quotes from airline pros when I asked them about the challenges of building their airline CRO programs. So, who better to help you address these challenges than the experts who invented the term “CRO” back in 2007? This is a true story. Dr Karl Blanks and Ben Jesson coined and trademarked the term (CRO) more than 10 years ago and have been Conversion Rate Experts (yep, that’s the actual name of their company) ever since. People still don’t understand why CRO is such a good idea. Even some companies who had done it and had loads of success with it, only notice in retrospect what a difference CRO made to the economics of their business. 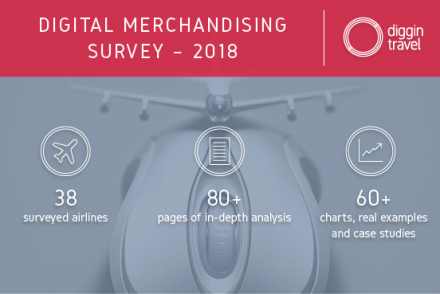 So, I asked Karl and Ben to help us better understand the value of CRO and how you can get support for your airline CRO program. First, by increasing your conversion rate you get more customers with the same advertising budget. So, higher conversion, more revenue. Second, your profit is even more sensitive to your conversion than your revenue is. 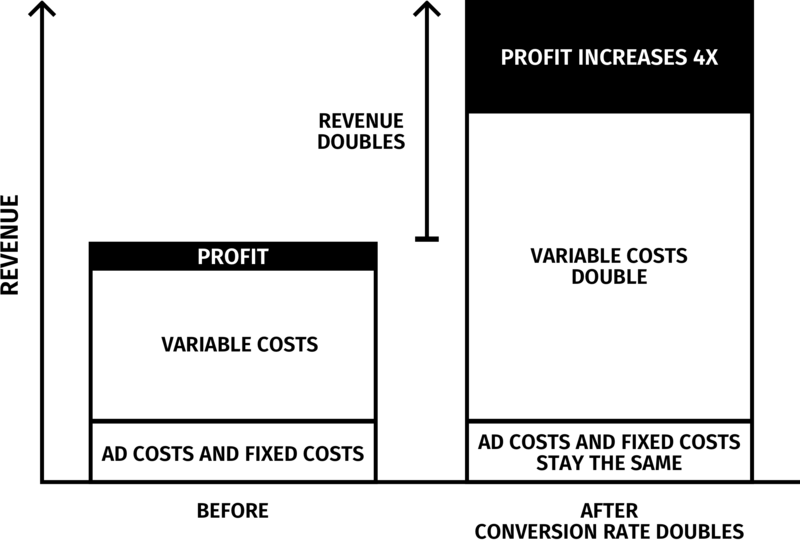 Basically, when you double your conversion rate, not all of your costs double. Third, when you increase conversion you open the door to new traffic sources. It’s the fact that when conversion is done right, the unit cost of acquiring the customer decreases. If your conversion rate increases, you can go from not being able to afford paid search traffic to being able to be hugely profitable on it. Once you’re profitable on it, then you can afford to buy more, which brings economy of scale. Last and most important – all the above factors have a multiplicative effect. 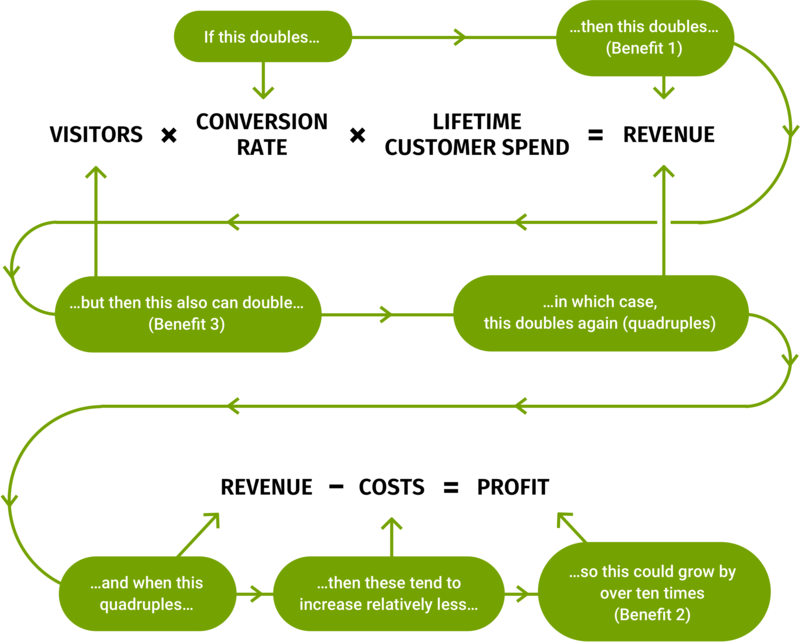 Now for the next step: once you truly understand the CRO formula, you need to explain it to your key stakeholders. Ben and Karl have an interesting person in mind to start your CRO discussion with: your Financial Director. [The formula] is the most important phenomenon in web design and no one seems to know it. Weirdly, Financial Directors, the FDs, they get it straightaway. They are used to scenario and sensitivity modeling. So, FDs get it straightaway because that is the language they speak. Unfortunately, it’s more difficult to explain it to Marketing Directors, more often. Selling your CFO on the benefits of CRO should help you get the conversation going, but to get the necessary resources, you’ll need to be able to measure the ROI of your airline CRO program. The obvious thing to do first is to be clear across the whole organization about the metrics that are important to measure success. It’s no good getting a split testing tool if you’re not testing the right stuff. Metrics need to be discussed at a senior level. It’s a strategic decision; where do we want this business to be in five, ten years’ time? Especially large organizations often end up optimizing things like click-through rate, these micro conversions. These might improve the website mildly or might help them get some statistically significant results, but don’t really change the business itself. The first question we always ask our clients is, what is your vision for your company, where do you see [yourselves] competing in the future, what market are you trying to dominate and what are your real core metrics for your business to be able to measure these goals? It really does start with measurements. Once the company has got the idea of what they should be measuring, the next thing is to look at what’s working and what isn’t – and on the website, that can be pretty simple. Once you have the metrics and measurement part figured out, you can start with the optimization work. It’s really about understanding your position in the marketplace, why your customers currently use you and why your qualified prospects don’t use you. One thing that should be obvious, but it’s kind of not, is that most of the web is being built by technical people. But the most successful websites are built with real empathy and understanding of your user situation. You’re so far from the users when you’re designing the webpage or when you’re looking at the web analytics reports. Users are not just pixels on a graph, users scrolling through a page. Imagine you have a thousand people queued in front of your door who wanted what for whatever reason couldn’t get it. They weren’t persuaded by it. You just go and ask them. The breakthroughs we have with our clients is when we immerse ourselves in the users and the users’ problems and their experience. It’s all about becoming the customer and having the empathy. The biggest part of the mindset change and the culture change is to become user-centric. One thing that’s interesting in an industry like travel, is you kind of have two segments of business. You have the airlines that were created as offline businesses, worked through travel agents and offline marketing. But then you look at the new wave of companies in travel, like Expedia, Google, Booking.com, Airbnb, who are taking the market share. They are just a very different kind of business. No one at Google is having to go find a budget to run experiments, or to work on the user experience, or to get data to understand how to improve their website. Traditional companies have this challenge because they don’t necessarily have the culture or the expertise in-house in order to run the experiments, in order to get the data, in order to make the decisions. 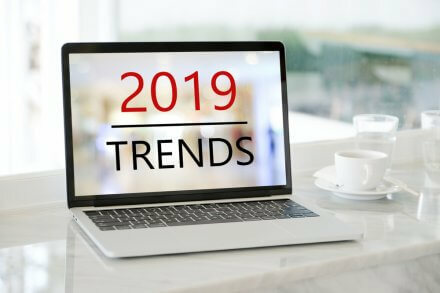 In reality, if you don’t have the budget, if you can’t persuade the CFO to invest in a better user experience and to invest in tools to help you measure whether a change in the website has improved sales or decreased sales, than you don’t stand a chance. Want More Ideas For Your Airline CRO Program? Watch the Full Interview With Karl and Ben! The above steps will get your airline CRO program started. You’ll be able to start and run your first experiments and optimizations. However, we discussed a lot more with Karl and Ben in our talk. And I promise you it’s really worth watching! Especially if you want to learn how real CRO experts think and work. [5:00] – What are key bottlenecks for running a CRO program? 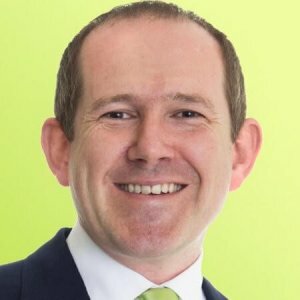 [7:50] – Why your profits are really sensitive to conversion? [12:00] – How to start? And how do define proper metrics? [16:00] – How to get internal buy-in? [13:10] – Where to look first when you start with your optimization? [15:00] – How to do agile user feedback sessions at the airport? 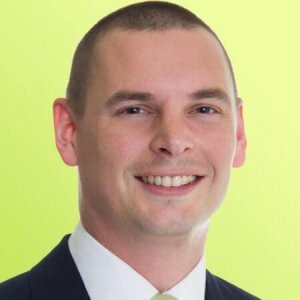 [21:00] – What are key skills and knowledge a good CRO experts need to have? [23:30] – Why CRO people need to be like sponges? [29:00] – How to scale up your airline CRO program? [34:00] – What and how to test? Why getting wins is key? [38:00] – What are the specifics and key issues of the airline booking funnel?